First, let’s get the disclaimer out of the way. Rose and I have a professional relationship as fantasy authors. We read and critique one another’s work and do it honestly, I believe. I enjoy her writing so much that I support her art by purchasing her books. I’m pretty certain that someday she will be well known in the field and I may actually resort to name dropping. 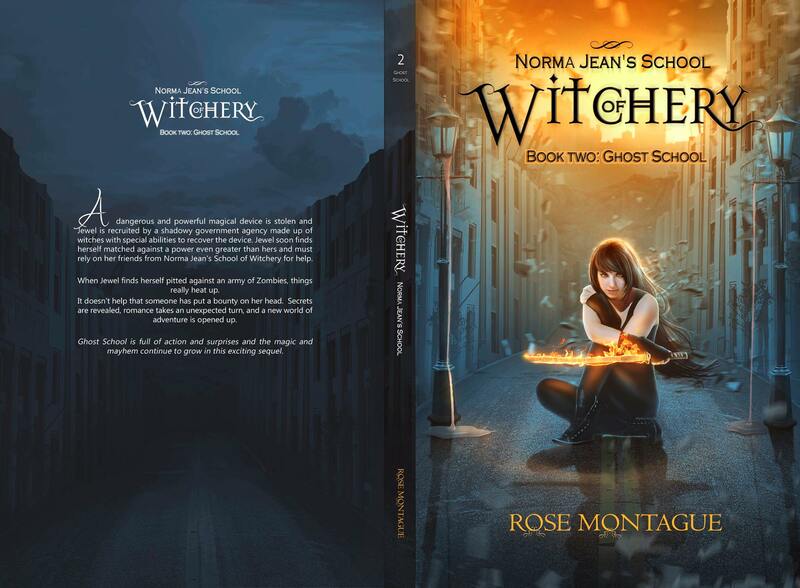 A few months back when Rose Montague began to tease publically about a new Norma Jean’s School of Witchery book, I was elated. I enjoyed reading book 1. How could I not? There’s a namesake character in it. Imagine that! So, because she made an announcement about book 2, I knew the next book in the series was being edited for publication. I always enjoy reading Rose’s books because in her fictitious universe damned near anything is possible. Also, I’m not sure there is any issue she will shy away from in her writing. As a result, her characters feel pretty realistic. Despite the genre and the fact that most characters have some pretty outstanding abilities to change the world to suit them, they have situations, problems with relationships and they need a little help from their friends from time to time to resolve things. So, as I began reading this one I was wondering what new wrinkles Rose might introduce. And after reading Ghost School, Book 2 of the series, I am not disappointed. There is a good deal of unexpected in this book. I don’t think it’s a spoiler to mention there are zombies. Lots of them. And, true to form, Rose’s zombies aren’t exactly your run-of-the-mill sort. Jewel, our returning heroine from Book 1, confronts several other challenges only one of which is figuring out what to do with a town or two filled with zombies and an evil, megalomaniacal necromancer who not only conjures them from the grave but also has stolen a piece of serious, super-secret military technology that is designed to amplify magical powers to a quantum level. Oh great! A bad witch on steroids! You get the picture. There are other returning favorites from book 1 of the series and Jewel needs their help in dealing with the bad guy. Meanwhile, we learn all sorts of amazing new things about Jewel as she explores and defines her magical powers. Hint, she’s not just a pyro, folks. The ending is surprising but necessary for what I think lies ahead and I can’t wait to read it. Also, there is apparently another spin-off in the works. Imagine that! Three series set in one highly imaginative universe. Gives me goosebumps. If you’re reading this, stop after the next sentence. Read Book 1 first! Oops, you’re still reading, aren’t you? Well, you should never consider reading book 2 of a series before book 1. I mean, who does that? So, first go get book 1. And, although this series isn’t written to depend much on Rose’s other series, its characters appear in this one from time to time. So, you may as well hop on over and start reading Jade and Jane, Rose’s two other published books about Jewel’s family members. There is a third book on its way in that series as well, so be on the lookout. If you are new to Rose Montague’s work, she’s a gifted storyteller with a vivid and sometimes wild imagination. Her work sparkles with the magic she binds to the pages with spells that only she knows how to create. She has a great feel for characters and setting up challenges that leaves readers wondering how in the hell do you overcome that? Her target audience is Young Adult. She is unabashedly a writer as well as an avid reader of the genre. If you look, you’ll see her reviewing the works of other YA writers. Although I’m no longer technically in that chronological mix, I’m still hanging in spirit. The trick is to never grow up, right? I know I never will. Just ask my kids. Anyway, I enjoy a good YA book every now and then, and Rose never disappoints. I give this a strong 5 for imagination, content and storytelling but a 4 for editing. In one place the POV shifts from Jewel to another character named Louise. A chapter break segregates it, so just be aware that toward the middle of the book that is coming. The shift is necessary and it does portend to some future things. There are a few missed typos. C’mon, every book has some, right? My overall rating is still 5. Imagine the big bang was a little mistake that rapidly spun out of control, the result of divine siblings messing around and being unable to stop it. Of course they roll with it, wagering on which species will evolve to dominate. But the game was rigged from the outset so that it isn’t supposed to end in a stalemate. The title Carpet Diem is a play on the Latin for “Seize the Day”. 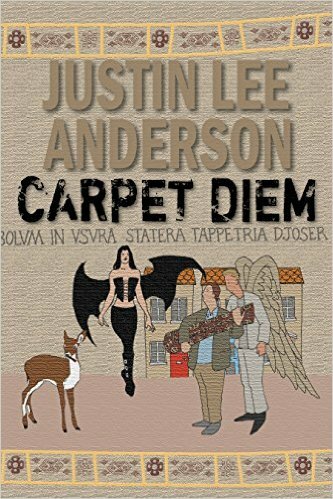 In this case, Justin Lee Anderson’s novel might be called Carpe Vestis or Seize the Rug. A unique, ancient artifact that Simon Debovar inherits from his uncle, a renowned archeologist, is the source considerable divine interest. You see, what Simon has decided to keep as his living room carpet proves to be the thirteenth and final piece of the ages contest pitting angels against demons. It is all they need to resolve the eternal competition, but according to the Rules, they must have the present owner give it to one or the other sides. The rug, along with the rest of Simon’s considerable inheritance, came into Simon’s possession thirteen years ago after nearly all of his relations die at a family reunion, the result of an apparent accident involving pudding. As the sole named heir he becomes instantly loaded. And he, an asocial sort retreats even further from society, holed up in an apartment as an antisocial hermit who generally hates people mainly because they smell bad. Simon has disabled his doorbell to prevent anyone from ringing it. But then, after more than a decade of silence, it sounds, waking him from his sleep. He doesn’t answer the door so much from the curiosity of who might be calling but instead to learn how, after all this time, it has managed to ring. Those responsible are an unlikely pair, an angel named Daniel and a demon named Lily who have come bearing propositions. They have long since thrown in together to find the last artifact and are about to make their tempting offers to Simon in exchange. Yes, this is that kind of story, stretching the limits of imagination in the process of advancing plot and having some laughs along the way. Justin Lee Anderson writes in the tradition of heavyweights like Neil Gaiman, Terry Pratchett and Douglas Adams but with a style all his own. He provides a host of bizarre and seemingly unnavigable situations for his characters, which include just about everything supernatural from witches and wizards to teleporters, ghosts and, of all things, an all-knowing deer. There are even some beings that are undefined in the nature of the universe, with unlimited abilities – just to make things more interesting. 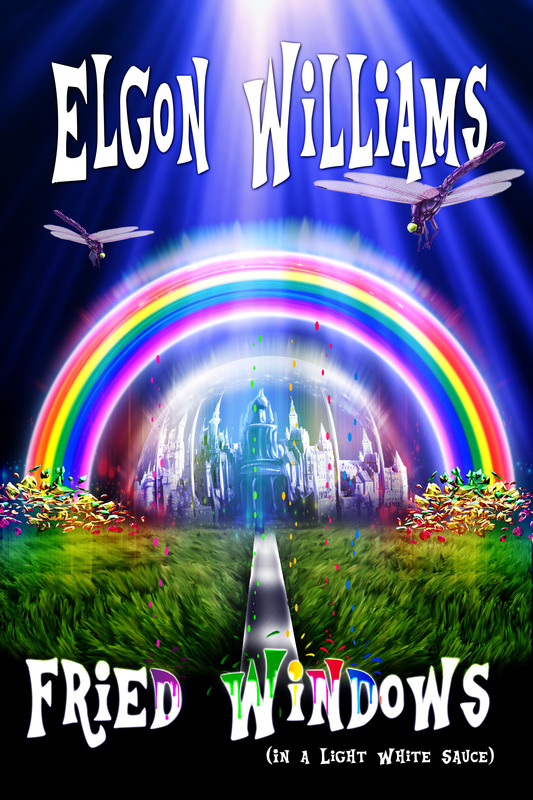 With imagination unbridled Anderson writes an absurd adventure leaving the reader wondering where it might go next. And the answer is, just about anywhere. Father’s Day always seems a little flat now that the kids have grown up and set out each in his or her own direction. They still contact me on the holiday, though. That’s nice and welcome. It’s good to be remembered. How could anyone forget me, right? It happens though, but not family. I’ve spent a good bit of my life disappearing from the lives of people I knew whether it was in school, the military or work. The past few years I have made some reappearances and reconnections, welcomed or not. Yesterday, I thought a lot about my dad. I was reading another author’s manuscript and part of it brought back some memories. I guess it was the setting – the midwest – and the characters’ reflections on their families. I always thought I had pretty good parents and, despite the quarreling, pretty good sisters. Maybe everyone thinks that until they get older, gain the perspective of seeing how other families function and all that. I mean in some way or another I’ll bet every family has a touch of dysfunction. There is always that oddball relative. And yes, for many in my family, I am that person. I got used to that when I decided to be a writer. It comes with the title and lifestyle. Anyway, yesterday was a good day for me. My schedule had me in to work later on in the evening so I had the time to share a sit down dinner with the family where I am staying. It was nice of them to invite me. I was sort of in a rush toward the end to get to work, though. It would be nice if I made a living with the author/publicist gig alone. I could afford to be more social. But that will come in time, with more titles released and a larger following from those who, for now, are strangers. The few fans I have garnered over the past years have been faithful enough. The other authors I’m in contact with, those under contract with my publisher and those who are not, have been supportive of my recent book launch. Some of that is quid pro quo as I have supported their book launches. But many have become friends for other reasons beyond sharing a craft. Authors are a curious lot and, like other artists, tend to understand one another fairly well in an intuitive sort of way. I wrote a piece a while back about how authors are really not in competition. I believe that. Largely, I’ve given up on receiving direct or indirect support from anyone in my past who has not already stepped up and offered. And that’s fine. No hard feelings. Whatever your reasons, it’s okay. Don’t feel obligated to buy a book you don’t plan on reading. Maybe some of you expected a free copy or something, just because we went to school together. I received a limited number of complimentary copies. I gave them out to people who helped me here and there along the way. They were the people I promised to give a free copy to because I needed to in consideration for what they did. Simply knowing me or hanging out with me for a while doesn’t qualify. Sorry about that. That seems appropriate, doesn’t it? I gave away digital copies to people in exchange for reviews. Some of those were people who promised to read my book, write a review and be supportive. a few have responded. Others, well… I guess they’ll get around to reading the book eventually, won’t they? That brings me to one of the things I recalled about my dad this Father’s Day: a conversation I had with him when he was in the hospital. It was a few months before he passed away. I had a book with a publisher then. He knew it was going to be out in print eventually. He told me how proud he was of me. But he also advised me not to quit my job. Dad was pragmatic like that. Also he really didn’t think of writing for a living as actually working. To him work required sweating and straining to make something or grow something. Writers do that but not in the same way that farmers do. Dad had trouble seeing things from my perspective as much as I had trouble seeing life through his eyes. He asked me if I was going to be famous. I confessed that might happen but it wasn’t an immediate goal. It still isn’t. He told me something that struck me at the time and I recalled it yesterday as I was reading someone else’s book. “You know you’re famous when more people know you than you remember ever meeting in your whole life.” I chuckled when he told me that and I laughed at the memory yesterday. He had it right, of course. That’s how everything works in the world. Most people don’t care about all that many other people outside of family and a few close friends. We know a lot of people – coworkers and the like. We know friends of our friends and some of their relatives. We may even brush against someone with some degree of celebrity whether local or wider from time to time. But no one cares about obscure acquaintances until they are, in some way, less obscure. For example, who cares to notice a book from an obscure author until everyone else he or she knows says they should read it? Then they buy the book even if they never really intend to read it. They may see the movie and even claim to have read the book. The book is better than the movie, they will claim, whether it is true or not. Of course, since they know the author personally they will claim to have some unique insight. Maybe they will, but probably not because they didn’t pay all that much attention to that weird sonovabitch loner who was always claiming to be wrestling with the next great American novel. I want people to read my book otherwise I would have never submitted it to a publisher and gone through a year of editing, revising and promoting it while waiting for it to be released. I need people to buy the book so I can afford to continue being a writer and stop doing other things that interfere with writing full time. Otherwise, I might be inclined to give the book away for free. It’s a good book and doesn’t deserve to be given away, though. Friends, family, coworkers and acquaintances, past and present, should read it now, but if not now I promise you will eventually. Why? Because I will continue to write and my books will continue to be published. Sooner or later the weight and volume of stuff out there will compel at least a modicum of curiosity – especially if we met way back when no one expected I really meant it when I said I was writing a friggin’ book. My family in the 1980’s. I’m the writer. You can tell, can’t you? This morning I have been thinking about the future more so than the past. Although the two are connected to the present, the difference between people is largely about which direction is their focus. Although we all reflect on our pasts and strive to learn from our mistakes, it is not good to dwell on what has been. Obsession with those things that you cannot undo will prevent your arrival at destiny. What is it about today that makes me philosophical? 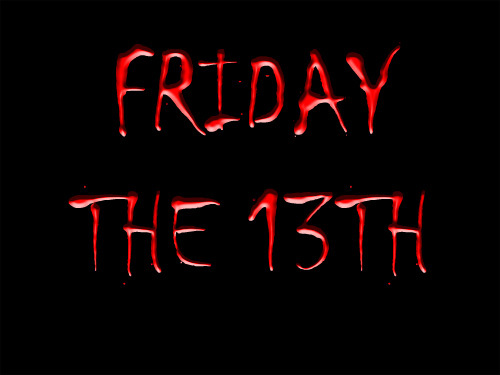 I guess it is the fear associated with Friday The Thirteenth, though I’ve never suffered from triskaidekaphobia. Quite the opposite. Some of the best things have happened to me on the 13th of the month. That’s not to say I don’t have bad days. I believe July 2nd is particularly bad for me. It is exactly eight weeks from my birthday, so maybe it has something ot do with biorhythms. I don’t know. What I do know is that I have tended to have mishaps on that day. For example, when I was sixteen I amputated the tip of ly left little finger on that day. Also, I was married on that day. Although the marriage went well for many years and produced three wonderful children, ultimately it ended. There are many other examples. That’s not to say I avoid getting out of bed on July 2nd. With my luck I’d fall asleep and the house would burn down around me. It’s just I’m sort of extra careful on that day. I try not to transact any important business on that day but it is not out of fear for what might happen just respect for what has happened in the past. I don’t believe in coincidence or accidents, so I have to believe that my apparent bad luck is part of a predictable cycle. Going back to thoughts of the future, I’m not sure when it is the appropriate time to turn my focus to my next book in production, Becoming Thuperman. I need to do that at some point but I eels too soon. I owe it to my current release to promote its sale to success. For whatever reasons the reception has not been quite as good as I might have hoped. Some of the factors are my relative obscurity as an author and the fact that the project was finished literally days prior to release. That did not allow for advanced reviews to be generated in support of the launch. But books have longer life cycles than most people have been led to believe. It’s a good book. It will do fine. Anyway, my publicist and I are working on some things, so expect promotions and book signings, especially in the Orlando area. This is not my first book and hopefully it is not my last. I’m grateful to many for bringing this dream to fruition. Some I should have acknowledged long before now for contributing to my journey to be here as an author. First and foremost, my family has been there for me. The past couple of years I have been living off the largesse of others. 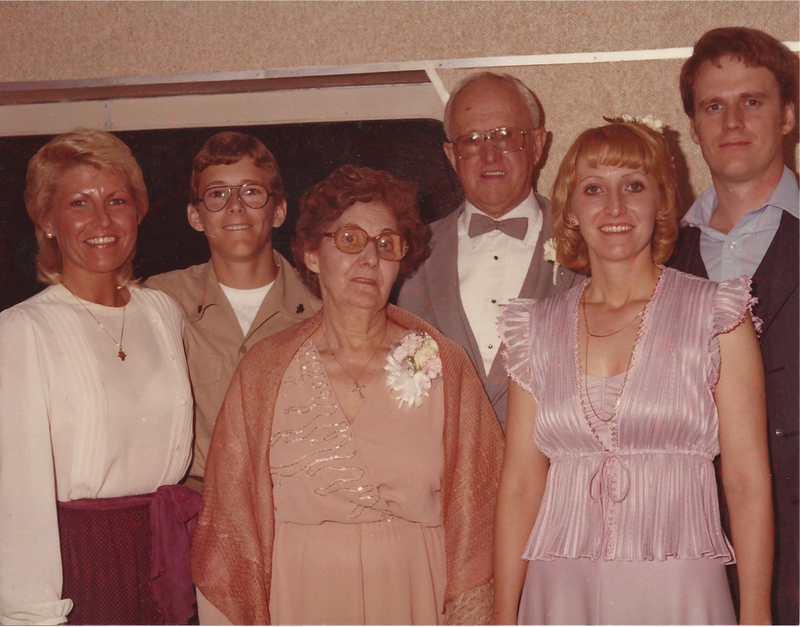 Without my sister Joyce and brother-in-law Jerry I would have been literally homeless. They opened their home for an extended period and I overstayed my welcome. Sir Barnaby, a.k.a. ‘Sparky’, their King Charles Cavalier, was a baby when I moved in. He became my companion every morning while I worked on this book and some of the others to follow. Also, I need to thank my son, Rob, and his girlfriend, Erica, for putting up with me while I put the finishing touches on this book. Rob was int he finishing stages of his post graduate work, so it won’t the best of times for me to impose. My daughter Amanda read the post substantive edit manuscript and gave me some helpful suggestions for tweaks. She is an example of someone who hasn’t given up on her dreams despite difficulties. The example of her determination has inspired me. My youngest daughter Sarah, the last of my children to set out on her own, was my roommate for a while in Kissimmee, Florida. We had many marathon conversations about books each of us have read and some of the stories I have written. Jina, my ex-wife, deserves mention. Although we still argue whenever we are in the same place at the same time, those three wonderful children are also hers. Some of the twenty-five years we were married were great while others I’d prefer to forget. She never understood the writer that emerged full force in the Spring of 1995 when I decided my life was too short to ignore my dreams. However, she convinced her stubborn husband to see the doctor, else I would have died that year. There are many people I have worked with over the years who suffered listening to ramblings and warped ideas that have become stories. Jack Ericcson, my friend, taught me a lot about the publishing business. He gave me a few tips about making an engaging, dialogue-driven story. Liz Flores, my friend, confidant and, for many years, my muse, inspired a character or two song the way. There have been other muses since but we are still in touch. 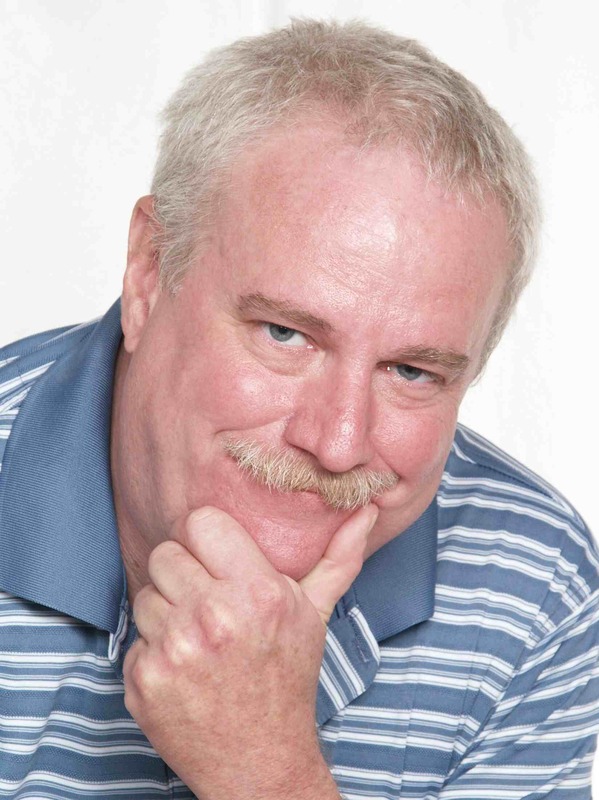 Ed Madore, Jerry Mannix, Carl Roberts and Joe Tyler were good friends and business associates while I juggled writing against the functional insanity known as retailing management. Zara and Allan Kramer deserve my gratitude for having faith in this particular project and supporting my dream with a lot of advice, encouragement and resources. Without them Fried Windows would still be an unfulfilled dream. My editor Michael McBride polished off the rough edges and helped make this book what it is. Matt and Fletcher, the cover designers, outdid themselves in brining the imaginative Inworld to life. My publicist and co-conspirator, Christine Gabriel, a fellow fantasy author, has endured my creative flashes that sometimes sound like rants to others. She may not also understand but she listens well. 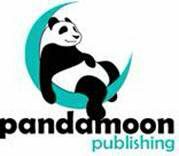 I also need to thank all the other Pandamoon authors (Pandas) for their chats and continuing support. Then, there is Kristin Hibbett, my 9th Grade English teacher, who did more to compel me to write than any other before or since. Over the years our student-teacher relationship evolved into something more respectful than how it started out. Last, my mother and father, Alta and Bruce Williams gave me a name I didn’t like at all but eventually it grew on me. One of the reasons this book exists is because of that strange name grabbing attention as much as the bizarre title, Fried Windows (In A Light White Sauce). What has happened with the recent launch of Fried Windows is fascinating to the publicist side of my nature. It is not entirely unexpected, but some things have been surprising. Let’s be honest. The initial response to the launch of Fried Window has been, in a word, underwhelming. As much as an author would like to sell hundreds of books on the first day and reach best seller status for a few moments in the spotlight, those things happen because a lot of factors converge at once. It is a false indication of the book’s overall potential for success. A book is a success because of the connect it makes with the public, not because of how many friends and family member buy it on the first day. So it is dangerous to read too much into a launch day spike – or in my case the absence thereof. The problem is almost never the book. Everyone who has read Fried Windows in advance has loved it. It has a great, attention-getting cover. Although some friends have told me it is startling and a little over the top the book is unusual. I think the graphic captures that. The problem Fried Windows is having in the market place is the same as every other book from every one of the millions of obscure authors. It is a new book from what the public perceives as a new author. Readers are attracted to brand-name authors. They invest time as well as money in purchasing a new book to read. My fan base response to Fried Windows has been lukewarm at best. That’s what is disappointing in that I have worked a lot on building relationships with others over the past few years. But I also understand that launching a new book without a lot of fanfare is like throwing a frozen burger patty into a skillet before it’s heated up. At first nothing happens. Heating things up a bit is all that’s necessary but it takes some time. Sounds simple, except it’s not quite as easy as turning a knob on a stove. As is true of nearly everything worth doing, there is a process involved and procedure to follow. The first step of that is finding out why promotional efforts in advance of the launch failed to produce the desired result – sales. First of all, selling anything via social media alone – as was the case with this book – is difficult. People are online to be social, not transacting business. They tend to ignore direct pitches, especially since they are inundated with them. So despite FB’s claims that you can promote your page for a few dollars a day and gain all sorts of followers through likes, that in itself is not going to sell a book. Also, in the interest of bolstering their own business model, FB has altered their algorithm so that your messages reach perhaps only 7% of your friends. Unless you buy FB services what you post on your page will not reach all your followers. So out of the thousands of people who might have seen my message about a book launch, only a few actually received the message. Each social medium has its limitations. I’m picking on FB because they are the biggest and have most recently been playing games with their programming that counters whatever users may be doing to promote themselves in a social medium. Let’s face it, people who will buy a book from a relatively unknown author have more than a passing acquaintance. And the mere fact that someone is a friend does not necessarily mean he or she will buy your book. For the moment, let’s set aside the real goal of an author, which is to have others read the book and sing its praises to others through written and posted reviews or spreading the word to their friends. It is a fan base problem. Growing the number of fans is an evolutionary process. It cannot be rushed because attention and awareness must be cultivated and reinforced throughout your process, otherwise a fan will forget that he or she ever was a fan. The best connections are personalized through memorable events – like book signings or chatting online. Others may be people you know at your day job. They may purchase a book simply because they know you – even if you are not close friends – but usually co-workers will not buy your book unless they know you well. Why should they? Since most of my online friends are other authors, I have never expected a great number of sales from those associations. Why would I? Authors are busy hawking their own wares. Some have bought my book, though. Those tend to be people whose books I have read and reviewed and those with whom I have had repeated contact. Again, it is a matter of turning an acquaintance into an fan. With most authors, it comes down to quid pro quo and professional courtesy. I’ll buy your book if you buy mine. I’ll write a review for you if you’ll write a review for me. Sharing blogs with other authors exposes one author to another’s fan base. So it’s worth having other authors as friends as long as the relationship is cultivated beyond mere acquaintance. What about all those people you knew in school or wherever else? Counting on the support of people you knew in the past is iffy. It will depend on how well you got along in the past and whether your relationship continued or recently resumed. Even then, simply having contact with someone you know doesn’t mean he or she will buy your book. However, if your book becomes popular and you become famous, that dynamic will change dramatically. People you never knew you knew will suddenly claim to have known you well. 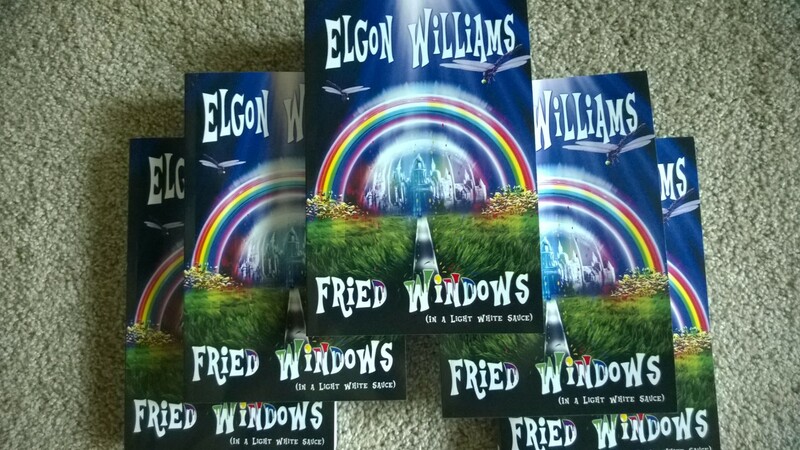 The launch of Fried Windows has exceeded any of my previous work. That’s progress and it’s due to building my fan base. Once the interest in the book increases through other promotional efforts, the momentum will build as well. It may take months and the subsequent launches of my other books in order to stir the desired level of interest in Fried Windows but it will happen. The book is that good. Once someone reads it they understand that it is unique in many ways.